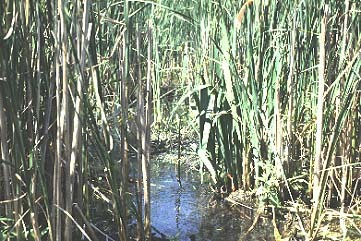 The habitat of a dragonfly is usually described by the habitat of the larvae, since this stage is relatively sedentary and usually restricted to a closed body of water, such as a pond. However for a habitat to be truly situated for a specific species, it must meet the needs of all the stages of the lifecycle (Corbet, 9). The habitat for S. hineana larvae appears to be cool, shallow, slow moving waters, spring fed marshes and seepage sedge meadows. Usually, larvae are found in shallow, narrow channels of water (Cashatt). In times of drought, such as late summer, larvae have also been found in crayfish burrows. These are often times the only wet location left when other shallow waters dry up (Pintor). After emerging from their excuviae, adult S. hineana usually return to breeding grounds after a few days of feeding. Recent studies have found that habitats differ for males vs. females. 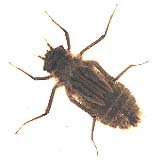 Adult male S. hineana are usually found in the wetland breeding grounds, while females are usually found in dry meadows. It is proposed that this is due to male harassment of the females. Females are usually only seen in the wetlands when they are mating or laying eggs (Foster). 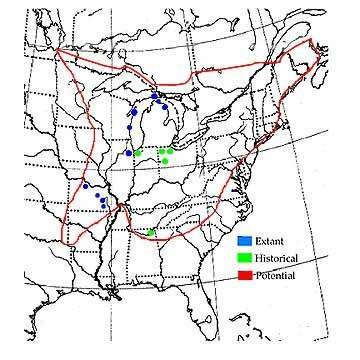 The regions in the United States where S. hineana breeding populations can be found is limited to Wisconsin, Illinois, Michigan, and possibly Missouri. Their historical range is much larger but human destruction of wetlands has led to a depletion of suitable breeding sites (Cashatt). The largest breeding population can be found in Door County, Wisconsin, mostly at a nature preserve called The Ridge's Sanctuary (<http://ridgesanctuary.org/>). Larvae typically feed on smaller invertebrates, small fish, and amphibian larvae. Adults usually feed on other flying insects, as do most dragonfly. There are many predators of these dragonflies and larvae. Some major predators of larvae when aquatic include turtles, other larger predatory insects, and fish. When mature larvae crawl out of the water, they are vulnerable to birds and frogs. 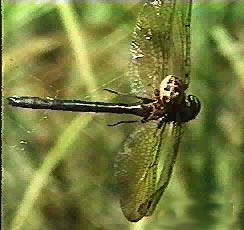 Adult dragonfly are preyed upon by birds, frogs, and sometimes by spiders, who catch them in their webs (Cashatt).